Full range of Discounted Accessories available. Please call us if you would like to add any that are not listed below. We also offer a complete 'peace of mind' build service by a team that has been working with these play centres for years. Please click here for more details and contact us on 01342 833 464 for further details. Phone us now on 01342 833 464 for some "hands on", experienced advice. We believe we are competitive on price but will beat any genuine advertised price. The Monmouth Monkey has been designed with your "little Monkeys" in mind and is perfect for families with smaller gardens and with children who will enjoy the challenge of this great Action climbing frame. 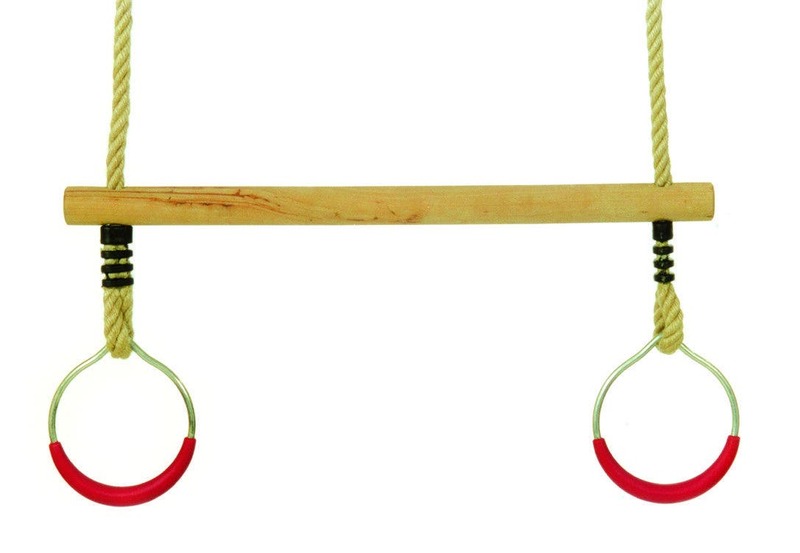 This great compact frame features Monkey bars with rounded rungs for comfort and a pine wood swing for simply hanging around! Access to the tower is via the ladder on one side, commando net, monkey bars or the rock climbing wall that features multicoloured hard wearing poly-resin climbing stones. The 3m wavy green slide completes this fantastic addition to the Action Climbing Frames range. The Action climbing frames are manufactured from PEFC sourced timber (Programme for the Endorsement of Forest Certification) meaning that only timber from sustainable forest is used. As wood is a natural material, over time cracks or splits may appear - this is usually caused by the fluctuating moisture content in the air and ground, therefore splitting is unfortunately inevitable. Although it will not affect the structural stability of your product, Action have tried to minimize them by only machining rectangular sections. These are stronger than the alternative round sections and contain less heartwood meaning the chance of cracks and splitting will be greatly reduced. All the Action climbing frames use top grade PEFC pine; this timber is not only a beautiful material it is also a high quality. 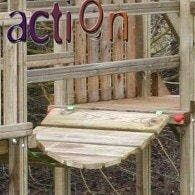 To preserve the life of your climbing frame Action take a number of steps to ensure its longevity. Once the chosen timber has been selected and machined all rough edges are planed smooth and rounded and all fixing holes and recesses pre drilled. This entire process is carried out to 1mm precision to ensure maximum quality. Finally, the timber is pressure treated using a non-toxic chromium / cadmium / arsenic-free solution specifically approved for children’s playground equipment. Try adding a Trapeze Bar instead of a standard swing to add interest and challenge on your swing arm. Lots of other swing choices including tyres and baby seats can be found on our Accessories page. Give your little monkeys something more to challenge them with our choice of climbing ropes, ladders, walls and cargo netting. For a burst of colour and fun in your garden choose from our range of coloured slides. Aid your little ones' creativity with something from our range of imagination accessories. They can turn their tower into a ship, a car, a shop and much more. Please take a look at our Accessories page. Want to add a tower to your existing set up? 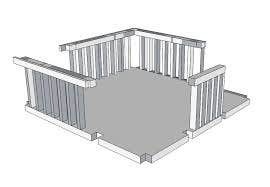 It's easy to make your playcentre grow with your children - just add a bridge and the play opportunities become even more exciting. No space to increase your playcentre outwards? That's okay - you can always add a play space beneath your existing tower with a choice of a lower den for the Gatelodge, a picnic table on the Arundel or sandpit seats (plus sand if you want to) on any of the towers. 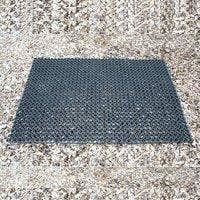 To make your play space safer and attractive you can purchase play matting or play bark from our website. If you need more hardware or different length ropes you can find them on our website. Items weighing less that 200kg will be despatched on a 3-5 working day delivery service to England, Wales and parts of Scotland. Other areas will have a delivery surcharge (dependent on the postcode) added automatically during checkout. Items weighing more than 200kg will be despatched on a 7-10 working day 2 man delivery service to England, Wales and parts of Scotland. Other areas will have a delivery surcharge (dependent on the postcode) added automatically during checkout. *Please note that if you purchase a climbing frame that is less than 200kg but then add additional items to it which takes the combined weight over 200kg there will be a delivery surcharge applied at checkout. All deliveries over 200kg will be delivered by a 2 man service and may take up to 10 working days. All climbing frames arrive in flat packed parcels and for easy checking, parts are clearly labelled 1/9, 2/9 etc and are arranged in the order you will need them when assembling. Included in the climbing frame packaging will be a detailed set of assembly instructions and a drill bit for preparing screw frames. Packaged in a sealed white pack will be your instructions and fixings.